I've finished up a couple more of those projects that I had started last week. I seem to have been on a red and black kick. I'll be sharing those projects soon, but not today. Today I wanted to share a little more Spring inspiration! so when I found these containers for 80% off last summer I grabbed four of them. I decided to use two of them and create unique door wreaths. that I mod podged onto the fronts of the containers. 2 bunches of faux white cherry blossoms for the other one. hot glued them to the bottom of the inside. arranged them into the floral foam and also glued them in. and a nest with eggs in it to the cherry blossom arrangment. 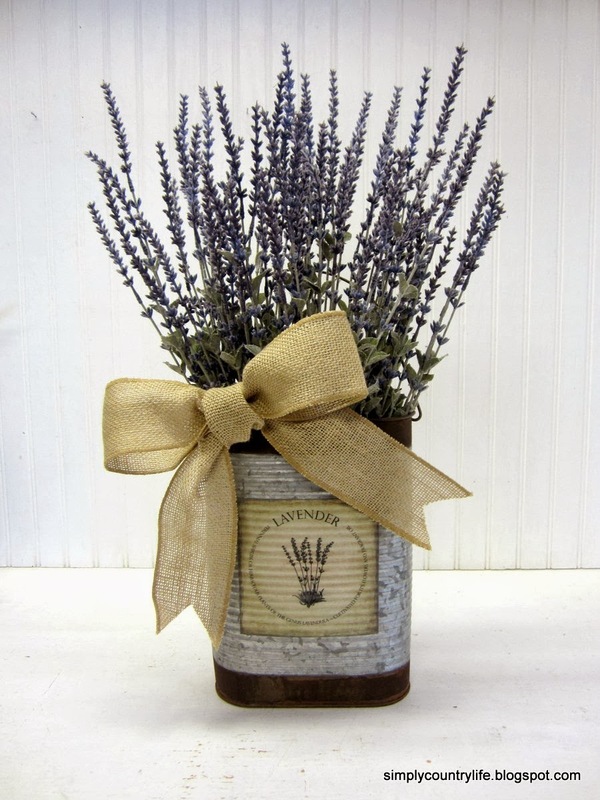 they can sit on a table or dresser top as a floral arrangement. but until then, they will be available in my Etsy shop. I'm definitely getting into spring mode now. If only the weather outside would catch up to my mood. Do you have any early blooms breaking through the ground yet? I've seen daffodils here in South Carolina!!!! I am having a great week Sherri. I hope you are too. Thank you! Thank you Dawn. I wish I could send you a bouquet of daffodils. Stay warm. Hi! Thanks for the great idea. 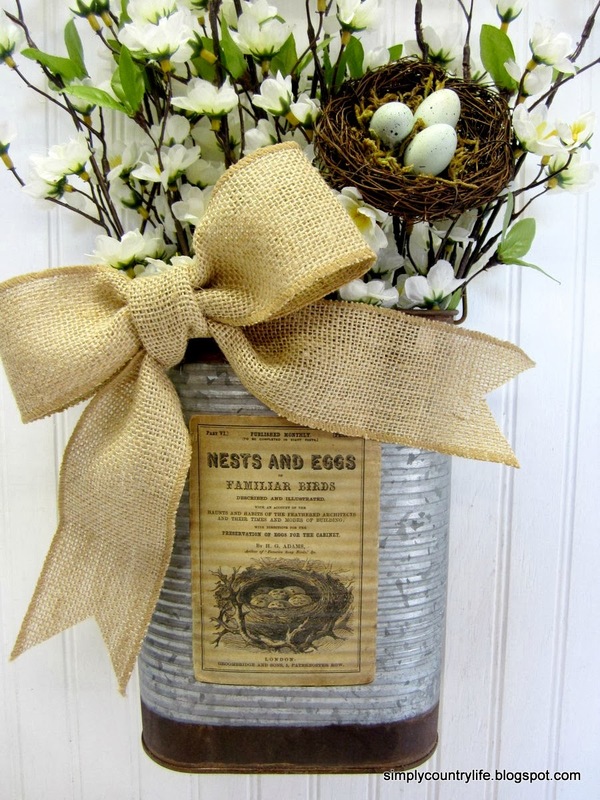 I've got some vintage maple sap buckets that will be perfect for this idea. Thank you for the inspiration. Ooh I love sap buckets. It's going to look beautiful! I highlighted this post tonight on Centerpiece Wednesday!! Love this project! 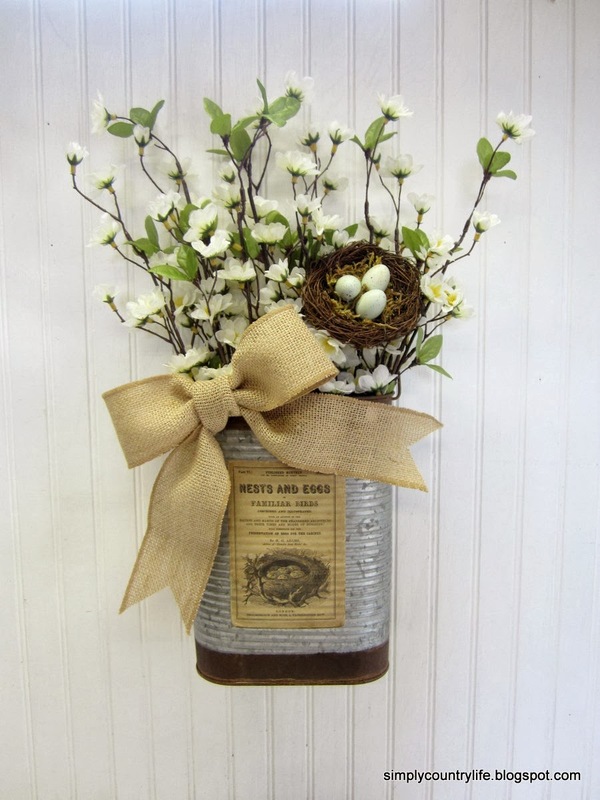 The galvanized buckets turned out beautiful! Thanks for sharing. Thank you so much for the kind words Jody! This is so adorable and simple! I love it! Hello from Centerpiece Wednesday! Thanks Leelee! I really love how it turned out too. Thanks for sharing these cute ideas at my party this week. You will featured at next weeks party on Monday. Totally cute!! Thank you for linking up at Talk of the Town!! Thank you for hosting Talk of the Town! Than kyou very much Rhonda!